William Laud deserves to rank among the greatest archbishops of Canterbury since the Reformation. Indeed one is hard pressed to think of others in the same league, save the obvious Thomas Cranmer. But to say this does not necessarily imply approval. 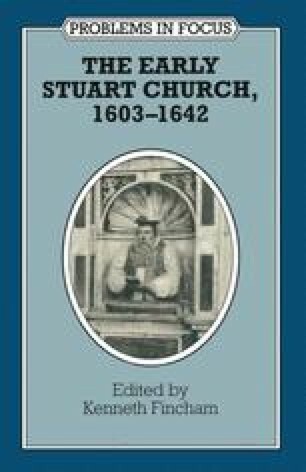 Rather it acknowledges the fact that both men made a major contribution to the future of the English Church. Although Cranmer was burnt to death as a heretic and Laud was executed for treason, their respective legacies lived on. In the case of Laud the time lag was greater, yet just as the Elizabethan Church owed much to Cranmer so did the Restoration Church to Laud. Thus commentators in the 1660s were clear that it was the religious supporters of Laud and not his opponents who had won through. Whereas in the early seventeenth century ‘the current of the Church of England ran the Calvinist way’ now ‘Arminianism’ is ‘received amongst our clergy’, as are similar innovations: ‘the communion table set altarwise’, when ‘it ought to be in the body of the church’, and ‘bowing’ practised towards it.1 This hostile evaluation, made by Sir Thomas Littleton during a parliamentary debate in March 1668, serves to indicate, albeit in shorthand form, some of the longer-term consequences of the ‘Laudian’ movement for both doctrine and worship. Our concern in this essay, however, is with the beginnings of that story and more specifically the contribution made by Laud himself.